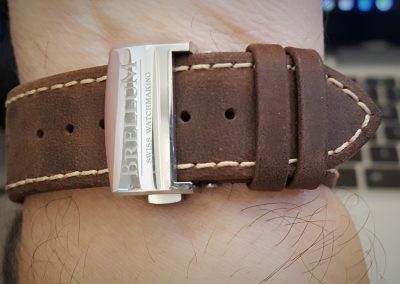 Brellum is a Swiss watch company that dates back to 1885 and is currently under the control of Sebastian Mueller, a 4th generation watchmaker with over 25 years experience in Swiss watchmaking. Revived in 2015 the Jura, Switzerland company offers three collections of Duobox watches. 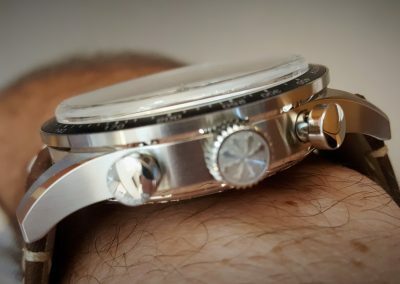 About three months ago they launched a fourth collection of 14 watches, the Duobox Pandial, the subject of this review. 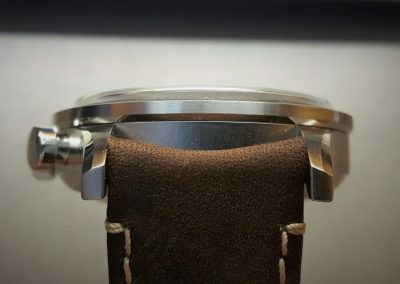 Duobox refers to the domed box shaped sapphire crystals with inner anti reflective treatment that are on both the front and the back of these watches. 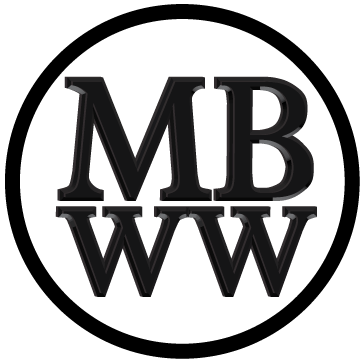 The watches are manufactured in Switzerland and are COSC Certified. 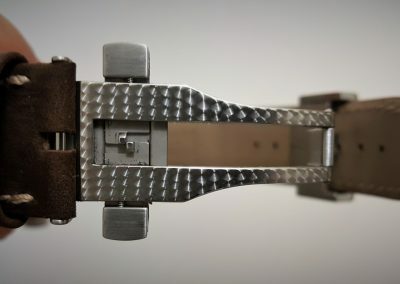 The certification process requires a minimum of 15 days per watch and when completed each watch must have accuracy better than -4/+6 seconds per day after testing under various temperatures and positions. 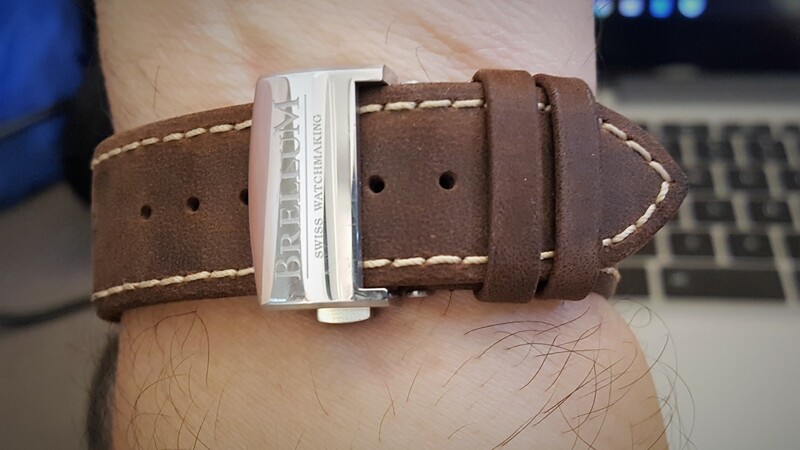 All Brellum watches go through a 5 step QC process before they are released for sale. 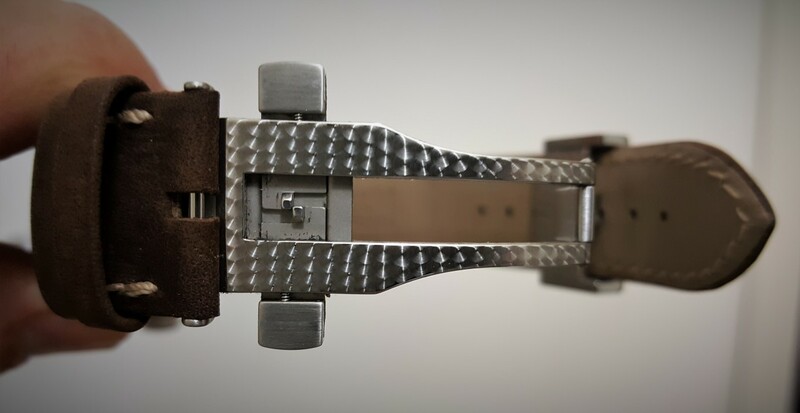 Powering the Duobox line is the very popular Swiss automatic chronograph movement, the Valjoux 7750. It has 25 jewels, 28,800 a/h and a 46 hour power reserve. 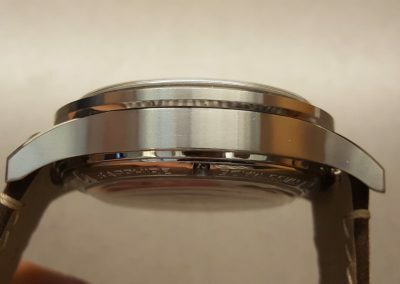 The watch is rated 50 meters for water resistance. 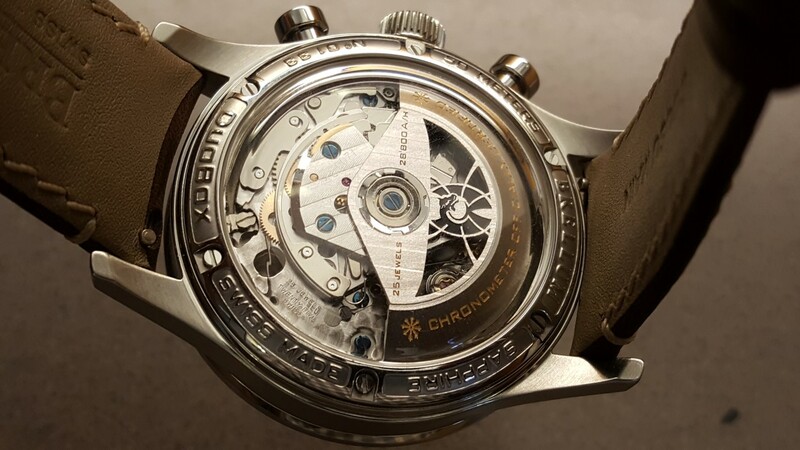 The back of the watch reveals a decorated movement with Cotes de Geneve, perlage, blue screws, decorated and partially skeletonized rotor, polished components and more. This is a stunning movement that needs to be seen! 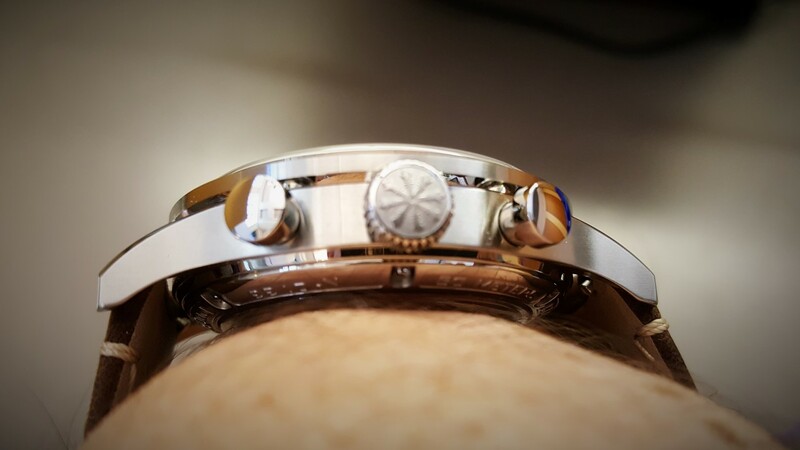 The exhibition duobox sapphire crystal is surrounded by a six screw blasted and polished case back that is perfectly marked with information about the watch. 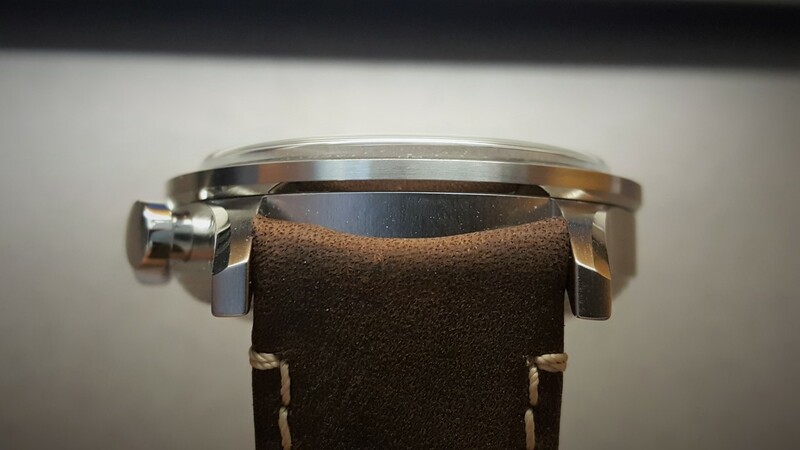 The watch case in the Pandial line is 43 mm in diameter (rather than the smaller 41.8 mm diameter used on other Brellum watches) and is brushed and polished with excellent finished and detailed. 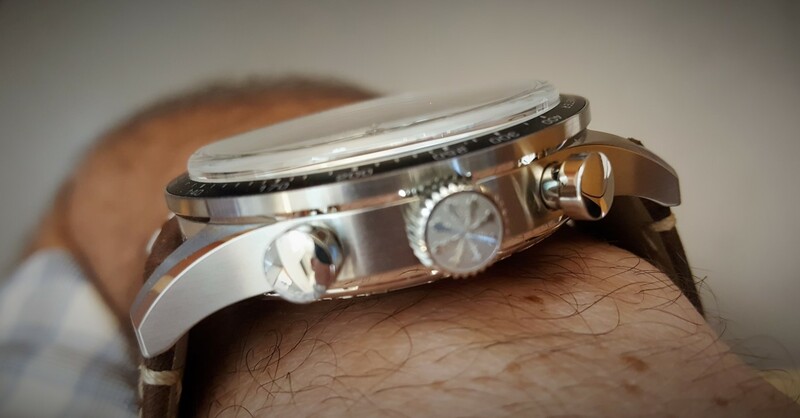 Look closely and you will see an angled and polished ring where the bezel meets the case, polished accents on the lugs, polished pushers and a beautifully detailed 7.5 mm x 3.5 mm gear edged push pull crown. 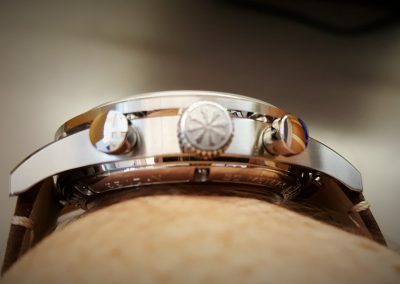 The watch measures 16.2 mm thick, 22 mm inside lug width, 27.5 mm outer lug width and is 51.75 mm lug to lug. 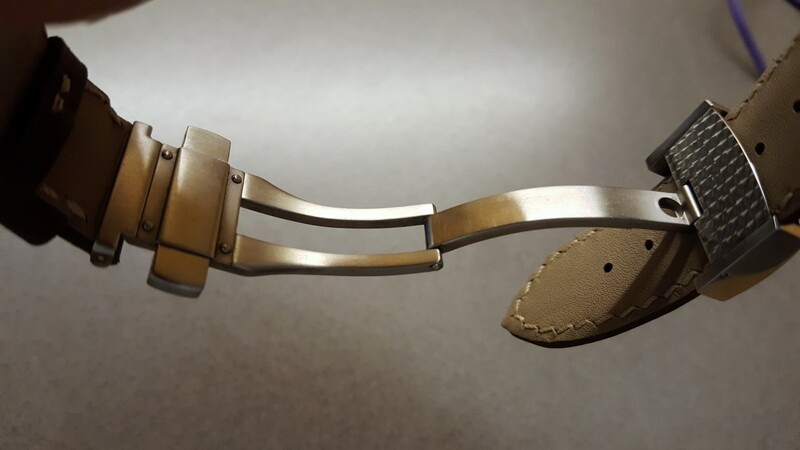 The watch sits fairly high up on the wrist but the wonderfully finished downturned lugs keep it comfortable, particularly when combined with the brown Zora calf leather strap and polished and signed clasp. 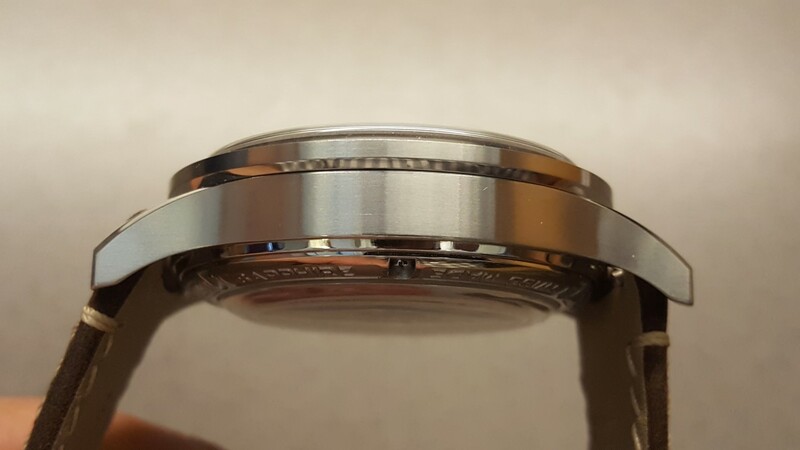 The perlage on the deployment clasp and clasp link, hidden from view when the watch is worn, is a special touch, in my opinion. 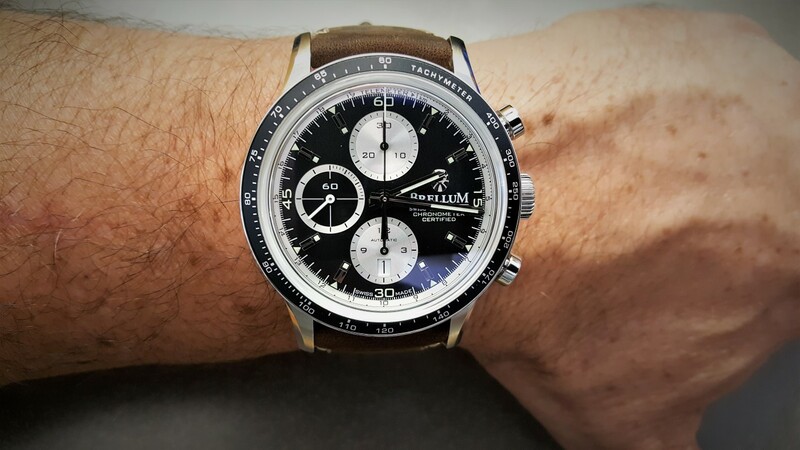 On this new line, Brellum has decided to put a perfectly finished silver on black tachymeter on the bezel with a black on white telemeter on the chapter ring. I am not sure how to use either, but I love the way they look. The white on black face, black on silver 12 o’clock cumulative minute hand dial, 6 o’clock cumulative hour hand dial and the 9 o’clock silver and black minute hand dial, this chronometer face looks great. The polished stainless caliper like hour and minute hands and the polished and white stainless chrono second hand and the black on white calendar window at 6 o’clock all work perfectly with the polished stainless hour markers. Lume is discretely included in the hour markers and the hour and minute hands. Guilloche concentric circles in both the 12 and 6 o’clock subdials are a nice touch as well. 16.2 mm thick! 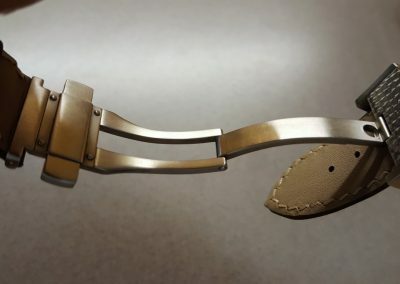 A watch for Godzilla or King Kong. $2500! Try to sale it and get $500 (or less back). Pass. Technology-wise, this piece is well deserving of the superlatives used in the excellent review.